Unlimited Campaigns for Unlimited Sites. 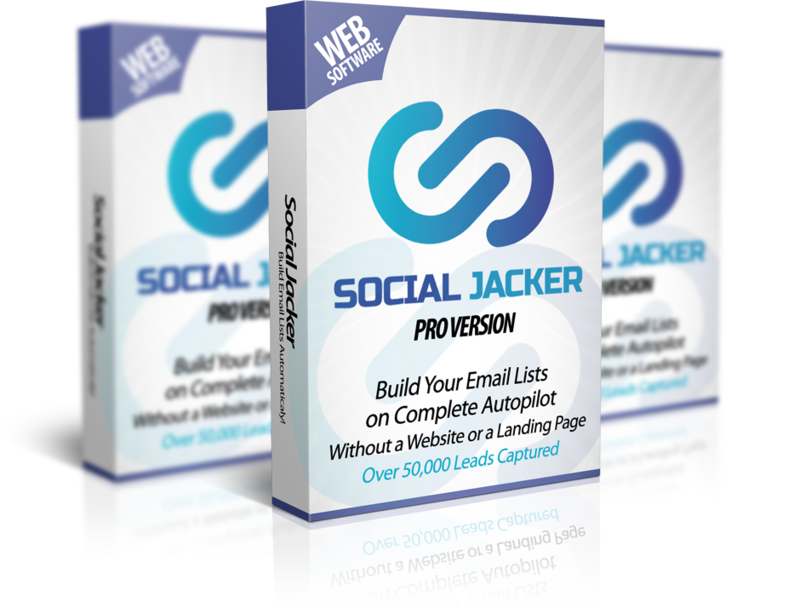 Yes, with Social Jacker PRO, you can run unlimited campaigns for any number of websites. (in the basic version you can run max 25) One single dashboard to grow all your lists at once. Automated Bot Learning & Replies! Intelligent bot can learn and reply to messages and questions for higher conversion of visitors into LEADS - get more emails, faster without any manual work. The PRO version makes it super easy to built bigger lists with the auto popup and notification with sounds. Attracts more attention and is hard to ignore. Not just that you can play any audio sound like a welcome message or a marketing message too. With the PRO version, you can use the autopilot software for easy automated split testing to figure out which campaign and call to action or popup is working better and then double or even triple your results with that. Only with the PRO version, you can directly capture email leads into the software as well as any autoresponder account you have. PRO integrates with Aweber, Getresponse, Sendlane, Mailchimp and many other popular email services. Normally the basic version allows only text and image replies but with PRO you can send VIDEOS in replies or welcome messages and also AUTOPLAY them to be way more effective. See intelligent stats and data points for your campaigns in our smart reports and stats section and a quick view is shown on the amazing dashboard for you to see your leads growth.